Danity Kane Celebrate 'Lemonade' Release at Empire State Building - Watch the Lyric Video! Danity Kane strike a fierce pose together as they visit the Empire State Building to celebrate the release of their new single “Lemonade” on Monday (June 2) in New York City. The girls – Aubrey O’Day, Dawn Richard, and Shannon Bex – are in town for press and their sold out show at Irving Plaza as part of their No Filter Tour. “Nothing like meetings in New York! I’ve missed this city & it’s energy!,” Shannon tweeted. Check out the recently released lyric video for their new single “Lemonade” below – the track is available on iTunes now! 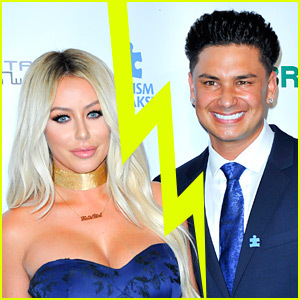 Is Aubrey O'Day Staying Silent Over Donald Trump Jr. Affair? Maxim's Halloween Party Brings Out Lots of Interesting Costumes! Amanda Bynes Steps Out For First Time In A Month! 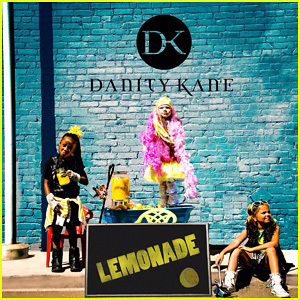 Danity Kane Return with New Single: 'Lemonade' feat. Tyga - Listen Now! Danity Kane Confirms Reunion for MTV VMAs 2013!